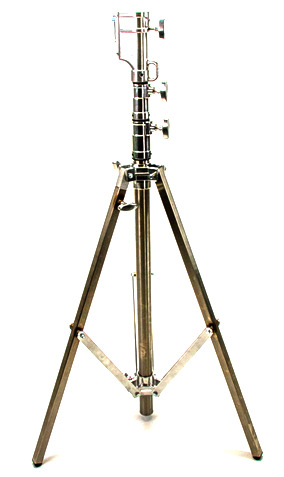 Safeguard your lighting investment and keep any shoot running smoothly with these top-performing light stands from BarnDoor Lighting Outfitters. 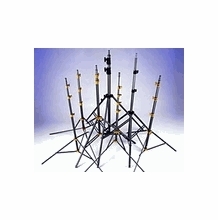 Your favorite film lighting manufacturers, including American Grip, Arri, Avenger, Kupo, Lowel and Matthews, make high-quality lighting stands for the demanding lighting professional. 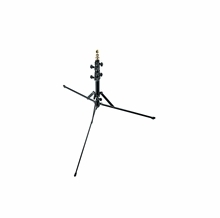 From rolling light stands that make setup simple, to low-priced background light stand sets that may be used as reliable green screen stands, BarnDoor Lighting has the perfect stand solution for you. 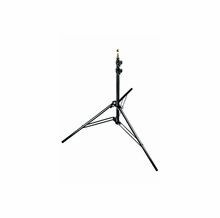 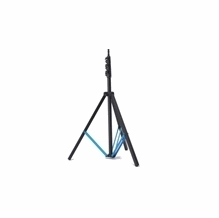 American Aluminum Combo Stand 2 Rise R/M Leg 3/4"x42"
Manfrotto 3 PACK Black Alu Air Cushioned Compact Stand 7'8"
We carry the best variety of light stands available, ranging from low to high and light-duty to heavy-duty. 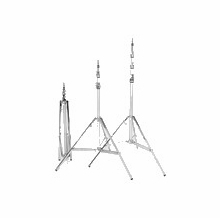 Baby stands, junior stands and combo stands help you create the perfect lighting environment anywhere. 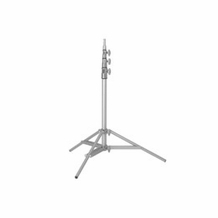 A combo stand is recommend for mounting larger instruments, as it features both a junior receiver and a lollipop head. 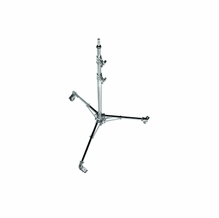 Check out Matthews combo stands if you’re looking for extra stability with a wider footprint. 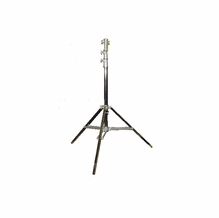 We also carry reflector stands, sandbags, light stand wheels and light stand carts in this great selection. 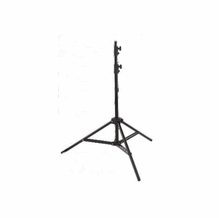 Have questions about which stand is right for you? 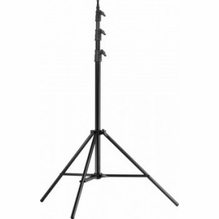 Reach out to us by phone at 1-888-276-3667 or by e-mail at info@barndoorlighting.com.